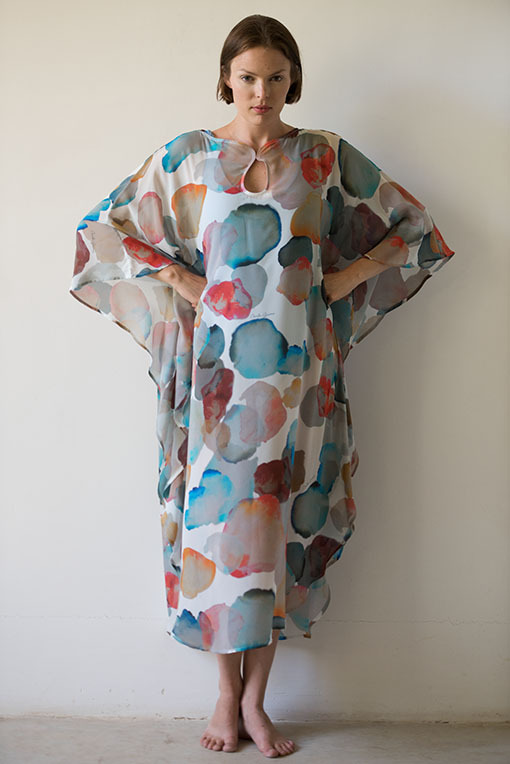 The Atelier’s Elenora Kaftan is our classic, knee length Kaftan. 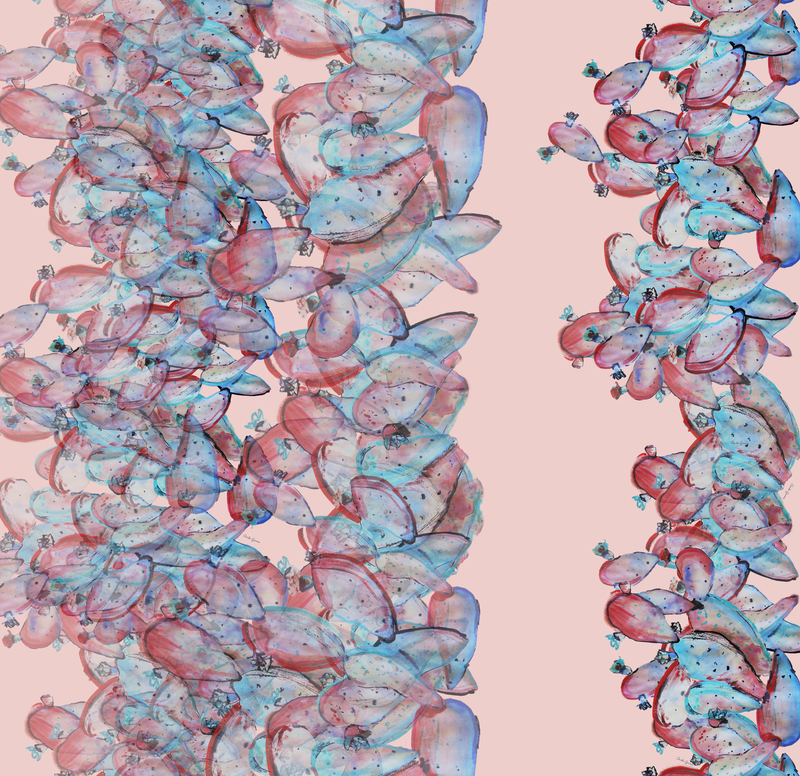 Bound with a sating binding and finished with a narrow pinhem. 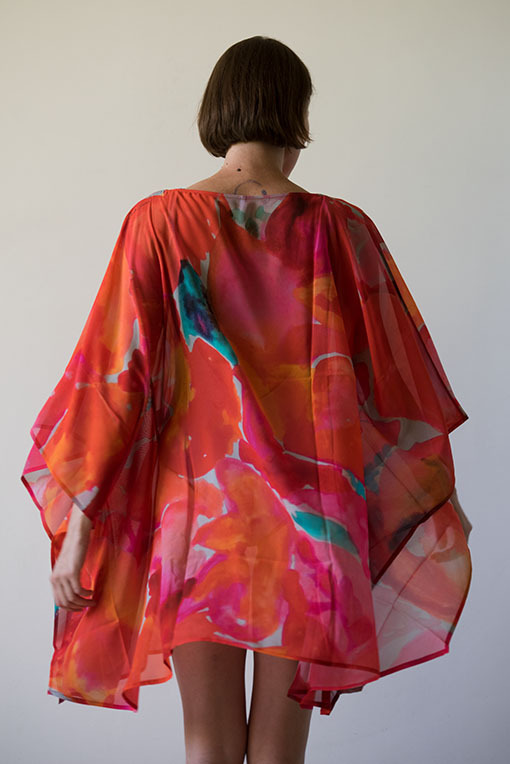 Includes our signature pleated side seams. 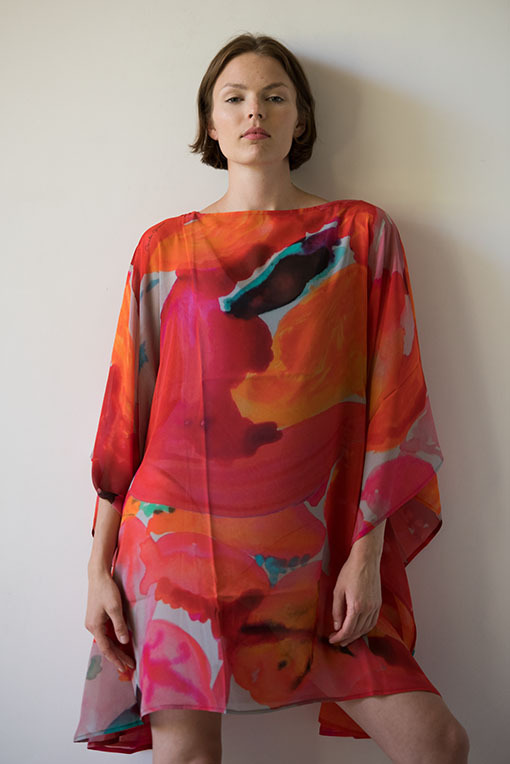 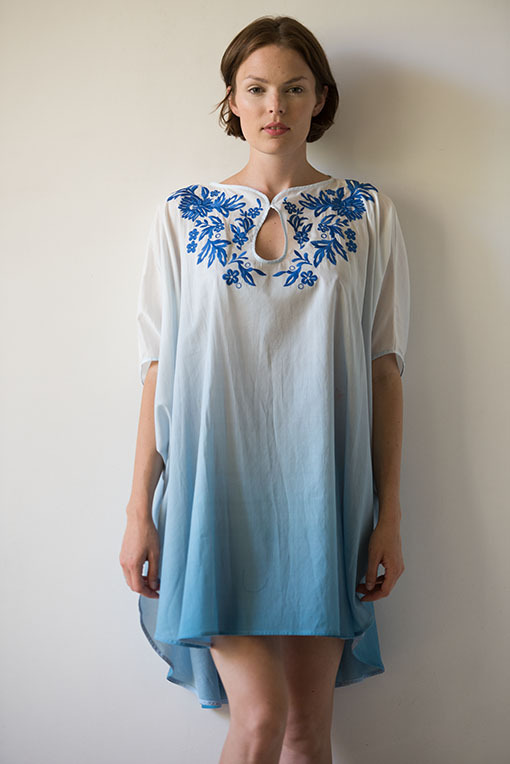 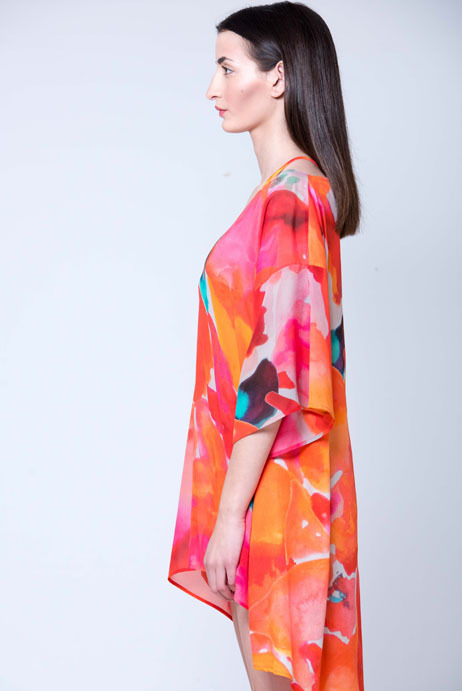 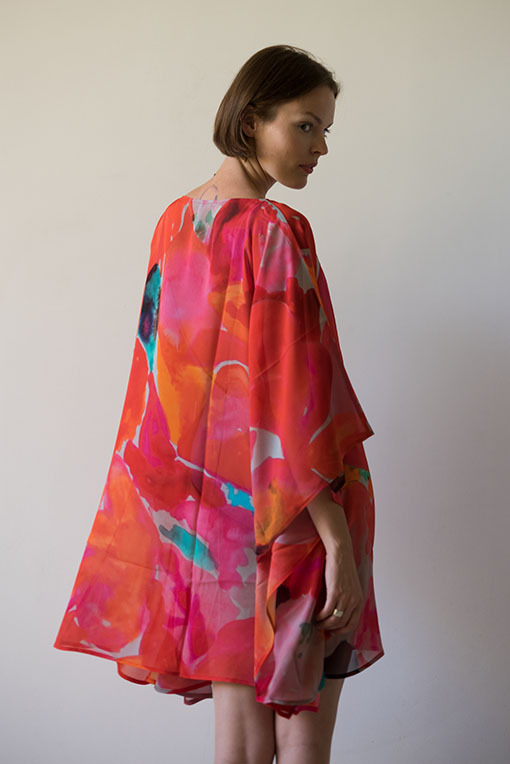 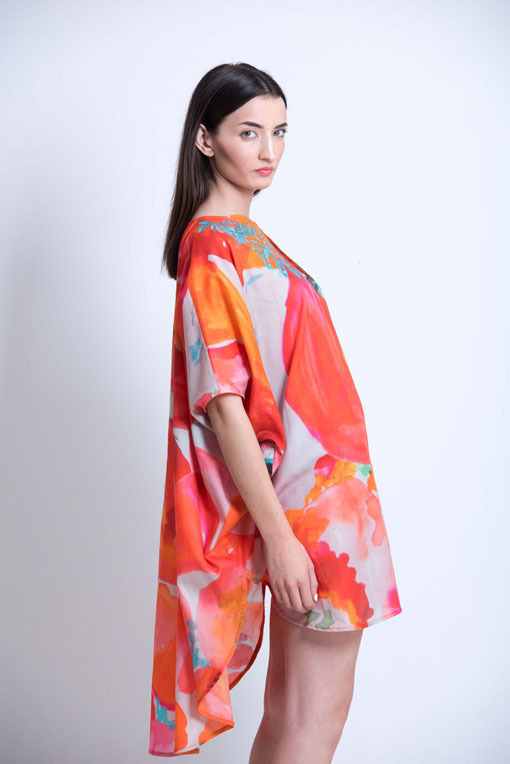 The Atelier’s Elenora Kaftan is pinhemmed and bound at the neckline. 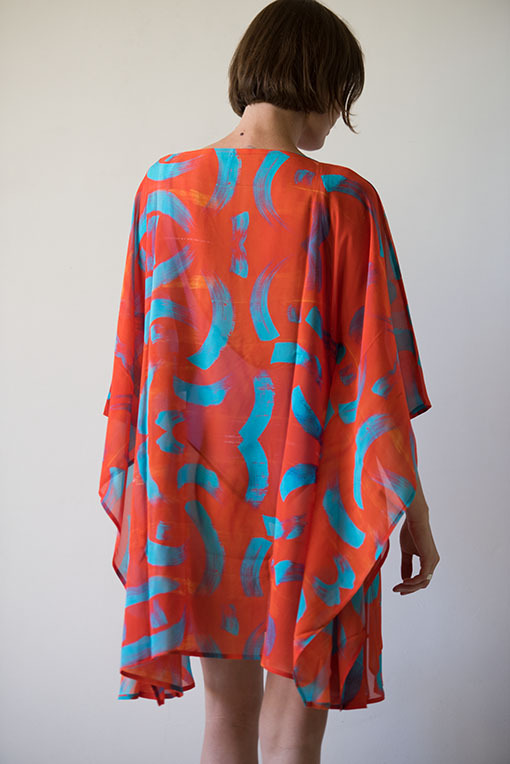 Side seams finshed with our signature pleat.